Anyone wishing to attempt a CPCS Technical Test leading to the award of a CPCS card MUST have evidence that they have undertaken and passed the relevant Health, Safety & Environment Test within the last 2 years of taking the technical test. For the CPCS Slinger Signallers course you would need The Health Safety & Environment test for Operatives. 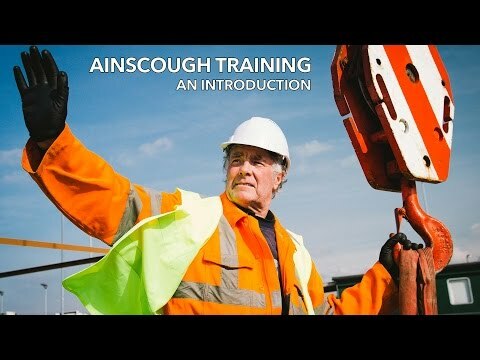 This course is aimed at inexperienced operators who are required to undertake slinging and signalling for the movement of loads using lifting equipment. Candidates may be new to the role or may be those with limited experience and no formal training. the load using the appropriate hand signals. Grants available for companies registered with CSkills. Please contact your local grant office for current rates. Successful candidates will be awarded a Red CPCS Trained Operator card endorsed with the category Slinger Signaller All Types - All Duties. Please note the Red CPCS card is only valid for 2 years. Within this time you must complete your NVQ level 2 Diploma to convert from Red card to Blue card. To book your NVQ please click NVQ booking. The Blue CPCS card is valid for 5 years.